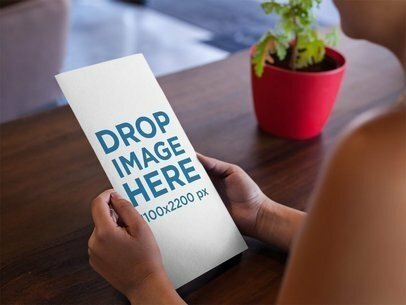 Start promoting your business in a professional and beautiful way with Placeit's visual assets! 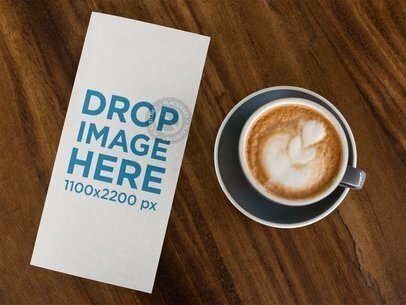 This template features a young girl looking at a booklet menu while having a latte coffee inside a coffee shop, it's a great option for you to promote your business logo or design! Start now by dragging and dropping your image file on the interface, it'll be merged in just seconds. 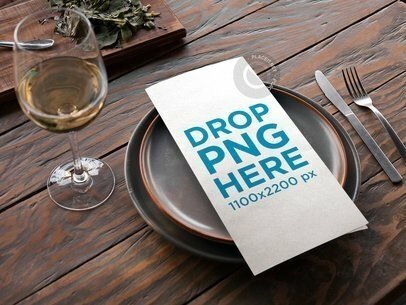 Try another Menu Mockup here! Check out this mockup from Placeit! 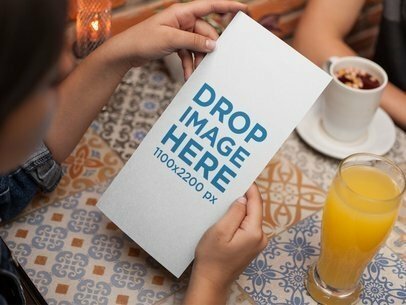 It's featuring a booklet menu held while at a restaurant, it's a really beautiful and simple image that will help your designs stand out immediately! Start now, all you need to do is drag-and-drop a jpeg or png file on the interface, we will merge it for you in just seconds. Try another Menu Mockup here! 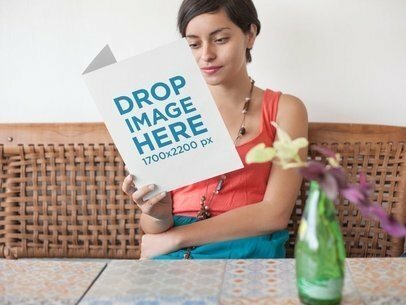 Showcase your business' logo or design with this awesome template of a woman holding a menu while inside a restaurant, it's a really beautiful visual asset that will help you get more customers! 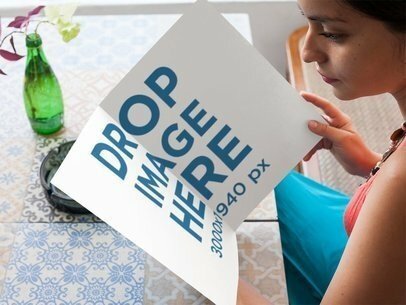 Start now, drag-and-drop a jpeg or png file on the interface, we will merge it for you in just seconds. Try another Menu Mockup here! 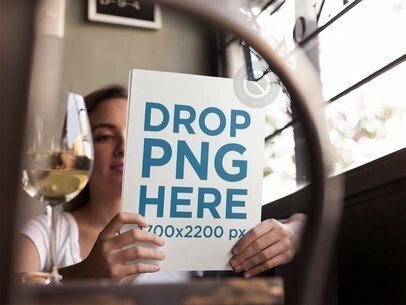 This template of a young woman looking at a menu while sitting down in a restaurant near a window is a great mockup for you to showcase your restaurant's logo or menu! 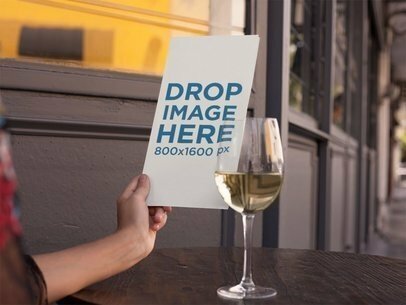 She has a glass of white wine served on the table as well, use this image and make your business grow! All you have to do is drag-and-drop an image file on the interface, we will merge it for you in just seconds. Try another Menu Mockup here! 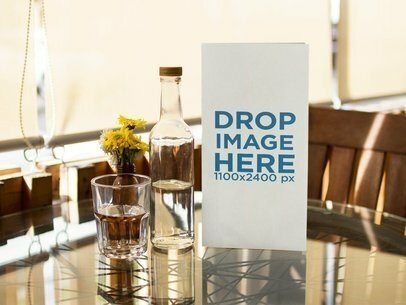 Start showcasing your awesome bar's menu or logo with this cool template of a standing menu inside a bar with a glass of white wine beside it. 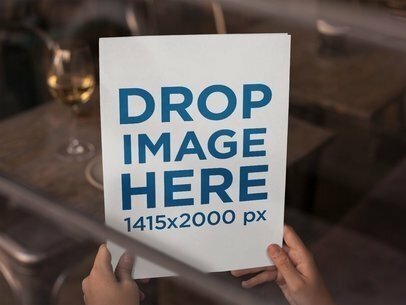 It's a great option if you are looking to promote your business with beautiful visual assets that will enhance your logo! 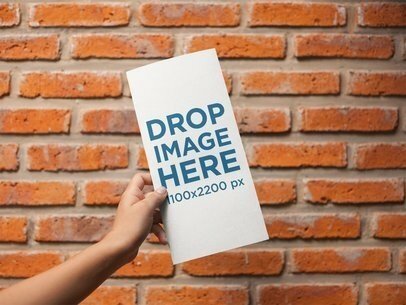 Start now, drag-and-drop your image file on the interface, we will merge it for you in just seconds. Try another Menu Mockup here! 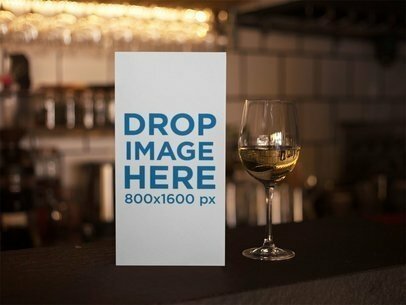 Showcase your restaurant's logo or menu with this beautiful mockup of an urban restaurant menu held on a wooden table with a glass of white wine! 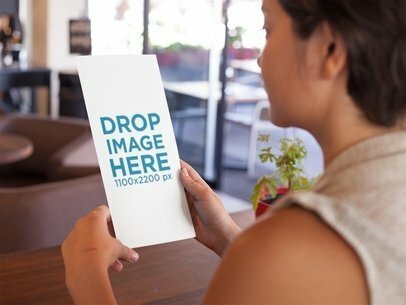 Placeit has tons of different options for you to start making your business grow with compelling visuals. 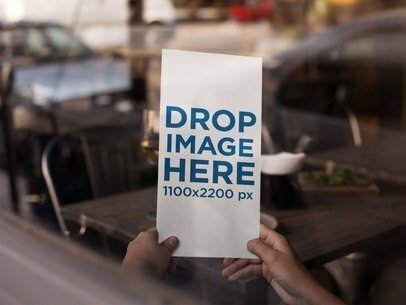 Drag-and-drop an image file on the interface to merge it with the menu. Sit back for a couple of seconds while we process your image and enjoy it! Try another Menu Mockup here! 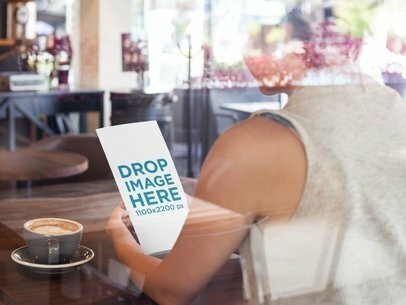 Check out this awesome over-shoulder template of a young girl holding a menu booklet while sitting down in a cafe, it's a beautiful visual asset that will enhance your design! All you need to do is drag-and-drop an image file on the interface, it'll be processed in just seconds. Make your business grow now! Try another Menu Mockup here! 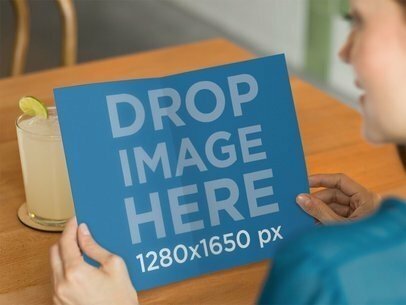 Start promoting your business now with Placeit's beautiful and professional mockups! All you have to do is drag-and-drop your image file on the interface, we will merge it for you in just seconds. 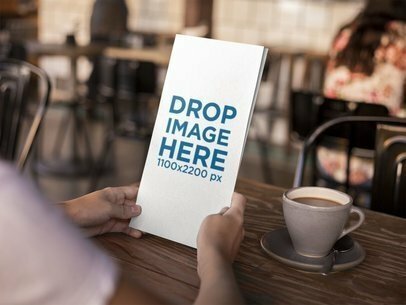 Start now and make your business grow, Placeit has tons of different templates for you to display your business logo or your content. 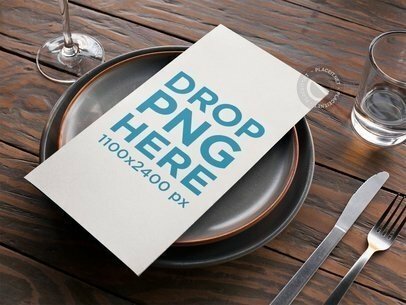 Try another Menu Mockup here!